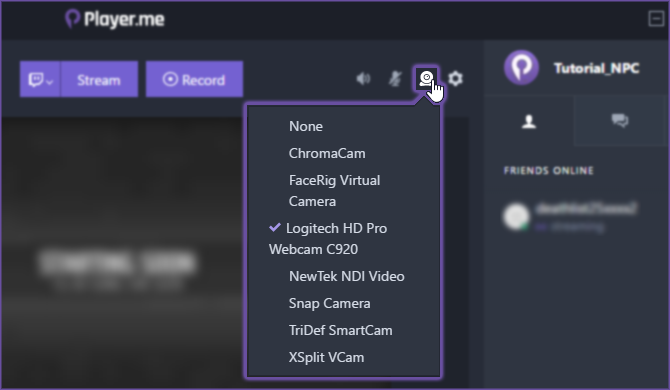 Yes, the Player Desktop app allows you to select any compatible webcam currently connected to your PC. In the Studio, click the webcam icon on the top right. The selected device will have a checkmark next to it. In the Studio settings, in the Devices tab. Under Webcams, open the dropdown list and select from the list of available devices. 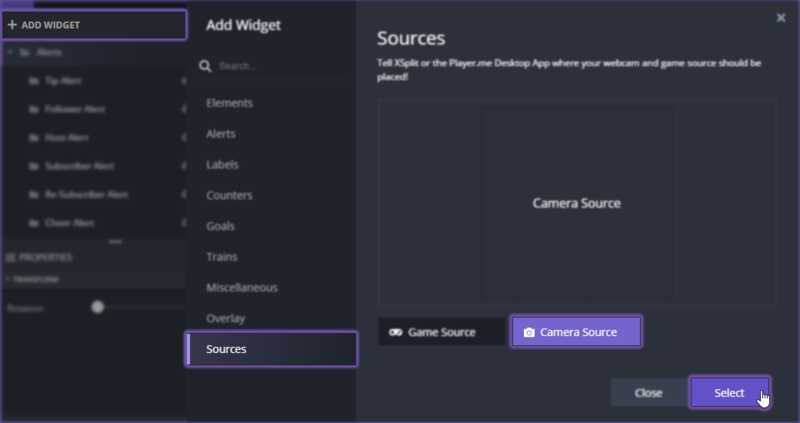 To have your webcam appear on your stream or recording, make sure that there’s a Camera Source widget in your Scene. If there&apos;s none, go to the Scene’s Editor and add the camera by going to Add widget > Sources > Camera Source.